Every school that works with the initiative receives ten weeks of weekly fencing sessions alongside immersive Maslaha workshops exploring identity and self-expression and challenging stereotyping. Girls then have the potential to maintain involvement in Muslim Girls Fence. Participants have the opportunity to gain leadership qualifications accredited by British Fencing and start their own community or school-based fencing clubs. Maslaha also supports participants through the Ambassador Scheme, where girls can act as advocates for the project at events and in the media, and build and nurture skills they are interested in — for example, public-speaking, media work, advocacy, mentoring and volunteering. ​In each set of workshops participants work with artists, poets, film makers or theatre practitioners to creatively document their journey and present alternative visions of what it is like to be a young woman in the UK today. Our creative projects have featured at the Southbank Centre's Women of the World Festival, and have gained wide media coverage from Buzzfeed to the the Telegraph. Our aim is for policy-makers and leading national sports organisations to have a more multi-dimensional and accurate reflection of the needs and experiences of Muslim women. We have delivered evidence to the Women and Equalities Select Committee, and we're currently developing a nationwide programme aimed at getting more Muslim women and girls across the UK involved in sport and physical activity. 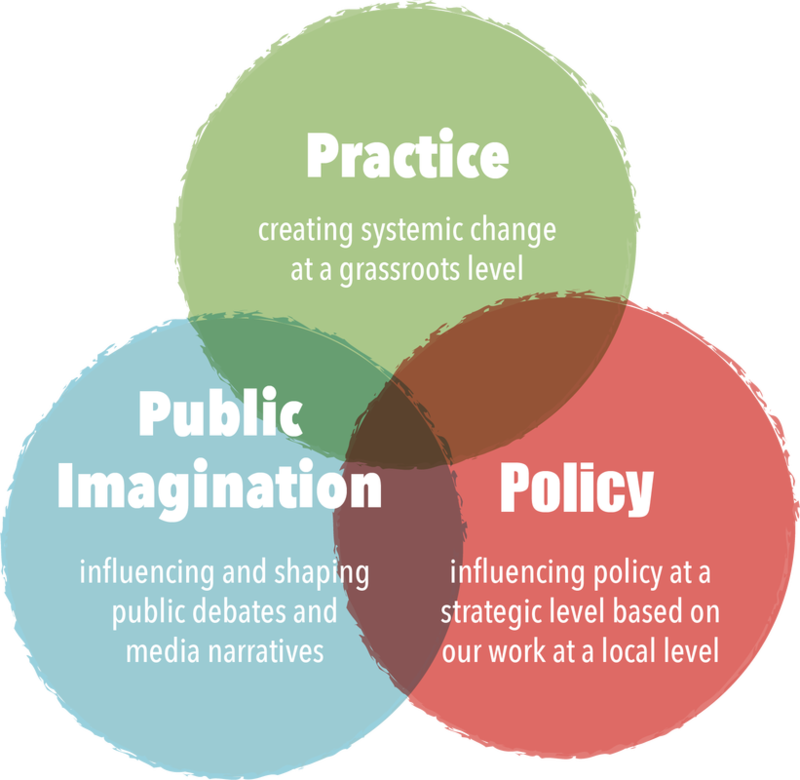 Watch the video below on Maslaha's working approach, made as part of an online toolkit for developing an 'innovation mindset.' Our fencing project features from minute 06:06. Read more about the background to this video here! Maslaha from Project Innovation on Vimeo.